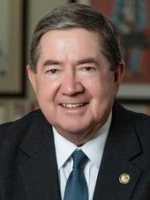 Info Drew Edmondson was elected Attorney General in 1994, and in 1998 became only the second Attorney General in Oklahoma history to win re-election without opposition. Edmondson serves as President of the National Association of Attorneys General after a two year stint as the Chair of the Consumer Protection Committee and Chair of the Southern Region of Attorneys General. In 1996, Edmondson filed suit against the tobacco industry to recover tax dollars Oklahoma lost treating smoking related illnesses and to stop the industry from targeting children in its marketing. The lawsuit resulted in a $2 billion settlement between the industry and Oklahoma, part of the largest settlement in the history of the world. Edmondson was one of eight attorneys general asked to serve on the negotiating team for the states. Early in his first term as Attorney General, Edmondson successfully advocated reform of the death penalty appeals process at the state and federal levels, cutting lengthy appeal times in half. He also created a victim assistance unit in the Attorney General's Office. Representing rate payers, Edmondson negotiated record-breaking rate reductions with telephone, electric and gas utilities and workers' compensation insurance. Before his election as Attorney General, Edmondson was elected, unopposed, to three consecutive terms as Muskogee County District Attorney in 1982, 1986 and 1990. As District Attorney, Edmondson prosecuted cases personally, from DUI to death penalty, and was recognized across Oklahoma for his work with crime victims. He served as president of the Oklahoma District Attorneys Association and was selected as Outstanding District Attorney for the State of Oklahoma in 1985 and the Outstanding Death Penalty Prosecutor in the 9th and 10th Circuits. He is the son of former U.S. Senator J. Howard Edmondson and nephew of former Oklahoma Governor and U.S. Senator Ed Edmondson. Edmondson served one term in the Oklahoma Legislature before entering the University of Tulsa School of Law in 1976. His undergraduate teaching degree is from Northeastern State University, Tahlequah, which he attended after graduating from Muskogee Central High School. Edmondson is a Navy veteran with a tour of duty in Vietnam.. He is a member of the Oklahoma Bar Association, the Presbyterian Church, Citizens League, League of Women Voters and the Democratic Party. Drew's wife, Linda, is a medical social worker. They have two children: Mary is an attorney and Robert is pursuing a doctorate in cultural anthropology.